How will your pet be celebrating Halloween? Will she be swaddled in a spooky costume, leering through the window at passing trick-or-treaters? Or will he be inching closer to you during a horror movie marathon? Keep some safety tips from Halo Pets in mind, and you can make this holiday more delightful and way less frightful! 1. Candy is the best part of Halloween—for people! Chocolate is poisonous to pets, and although an emergency trip to the vet would certainly be scary, it wouldn’t be fun. Bowls of candy—and decorations, for that matter—should always be kept out of reach. Homemade treats are a healthier way to get your pet in on the festivities! 2. The sight of your cat miserably dragging a Puss in Boots cape along behind him is likely to crush anyone’s Halloween spirit. Don’t dress him up if he seems uncomfortable. Also, be wary of any small costume accents a pet might swallow. Capes, to prevent strangling, should be avoided too. In other words: make it cute, keep it safe! 3. Keep your pet confined behind a pet gate if trick-or-treaters will be frequenting your front door. Picture total strangers with freakish masks entering your home unannounced, accosting your loved ones for candy. Anyone would get a little aggressive! Confining your pet will also prevent her from slipping outdoors while you are distracted. 4. 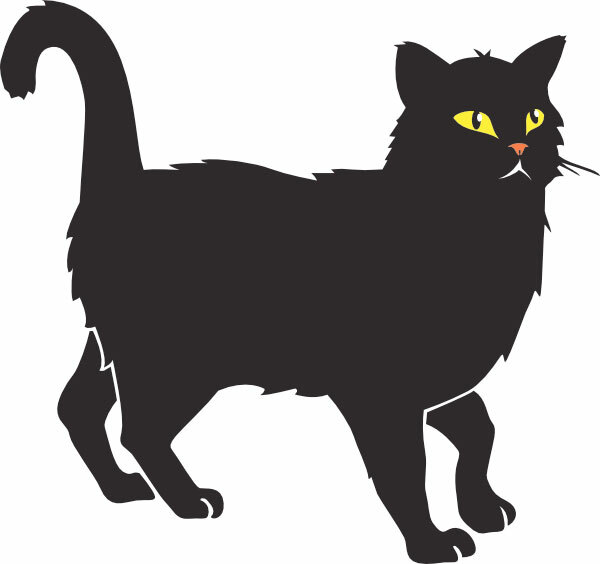 All animals—especially black cats—should be prevented from roaming freely outside during October. A little Halloween mayhem is not uncommon, but some people take it too far and injure animals for fun. Protect them by restricting them to the yard or indoors. A little precaution goes a long way to ensuring your Halloween is scary for all the right reasons. What will your pet be for Halloween? Do you have any safety tips you had to learn the hard way?